We need someone who is multidimensional - thriving on doing many things, enjoys learning new thing quickly, loves people and technology equally, and for whom no job seems too big or too small. When someone asks about you, they should light up and excitedly share how awesome you are. This role is part-time, 10-15 hours per week, and temp to perm. The position pays up to $25/hour based on experience. 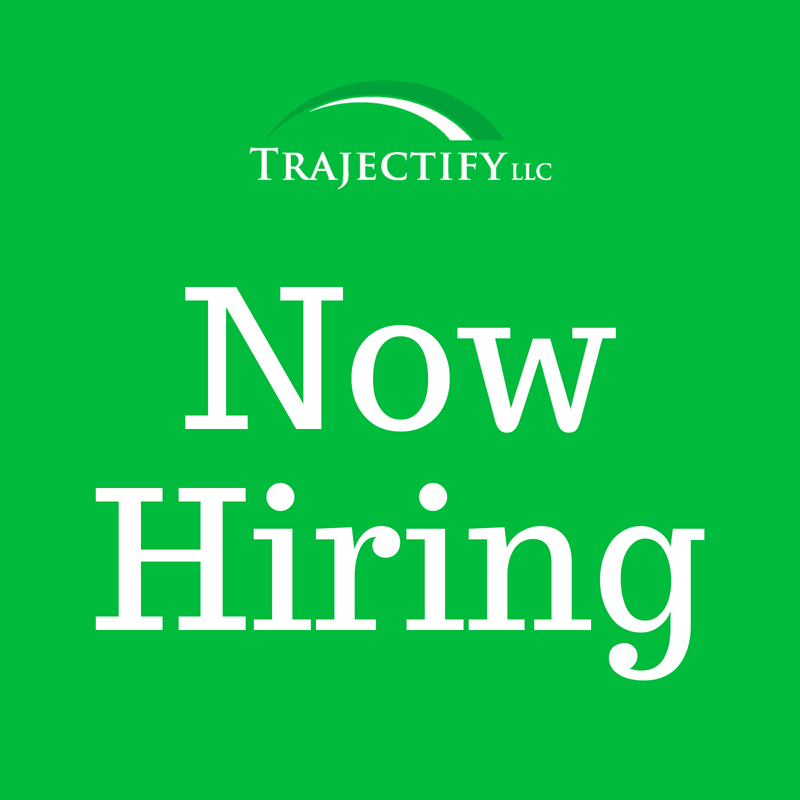 Apply directly to mike@trajectify.com. To ensure our continued growth, we are hiring a Lead Engineer with that unique blend of skills in people management, engineering design, manufacturing engineering, quality control and resource planning. To be successful in this role, you will balance developing robust processes for product design and quality control, with day to day engineering design challenges. Working as a manager and organizer coupled with an engineering design role. You will lead the process of developing custom LED lighting components for customers and design new products balanced for customer needs, manufacturability, costs, and quality. You will also be responsible for reducing the time to production by driving the on-time delivery for custom product. This role works directly with customers and suppliers and interfaces with other Operations and Sales team members within the company. LUXTECH LLC. is hiring a Design Engineer with a unique blend of skills in engineering design, manufacturing engineering, prototyping, and supply chain support. You will be responsible for leading the process of developing custom LED lighting components for customers and design new products balanced for customer needs, manufacturability, costs, and quality. You will also be responsible for working on a cross-functional team to develop revolutionary products, This role works directly with customers and suppliers and interfaces with other Operations and Sales team members within the company. To succeed in this role, you will leverage your engineering problem solving skills and understanding of the manufacturing process to provide an efficient and cost-effective product for the customer. Your strong people skills will provide a positive customer experience as you quickly satisfy their product needs with simple and reliable designs. Check out all available LUXTECH Job Openings. Wodify is looking for an Account Manager with a successful track record of retaining and growing SaaS subscriptions with small-to-medium size customers. AMs will be a the driving force in helping customers maximize their success. As one of Wodify’s first true Account Managers, you’ll have a big impact on how the department expands as we grow our AM team in 2019. If you’re a pro when it comes to building productive rapport with customers, proactively identifying customer needs, decreasing churn and increasing up-sell opportunities, then this is the role for you! As the Director of Customer Success at Wodify, you join our team to lead the next evolution of our relationships with our customers. Expanding our service offerings to our customers is a core initiative of the business in 2019 and you’ll get to lead the charge. You know what it takes to provide customers with an amazing experience and how to coach others to do the same. The ideal candidate is professional, driven, has excellent communication skills and is constantly looking for ways to take customer experience to the next level. As a Customer Success Agent, you join our team as a resource for all things Wodify. CSA team members help our customers learn the ins and outs of using our software all while providing killer support when needed. This team of Wodify guru’s communicates with users via email, chat and 1 on 1 telephone calls to promptly address their needs and help troubleshoot their issues. This role works directly with our Customer Success Team and Managers to identify trends and help create software that everyone enjoys. Check out the Jobs at Wodify. Startups and Small Businesses sometimes find themselves at the edge of a chasm. With success in developing and growing their business, a stage is reached where they find that the "next step" is a big one! Trajectify partners with the entrepreneur to build momentum and trajectory to be able to cross the chasm. We offer private and group (Mastermind) coaching and hold frequent events and seminars. Trajectify is founded my Mike Krupit, veteran of eight startups. Mike has helped dozens of companies grow and mentored and advised hundreds more. Mike does several videos weekly of coachable minutes. Watch one... or all on Youtube. Thank you! You will receive a confirmation email shortly. Every newsletter will be valuable - we will never abuse your trust. What If You’re the Problem with Your Team? What is your Double Doink for 2019? Copyright 2018, Trajectify LLC. All Rights Reserved.